POUR the apple cider into a small saucepan and put on medium-high heat until it has reduced by half. Let it cool off slightly. MELT the butter in the second saucepan and also let it cool off slightly. COMBINE the dry ingredients in a separate bowl: flour, cardamom, cinnamon, nutmeg, salt, baking soda, baking powder and brown sugar. 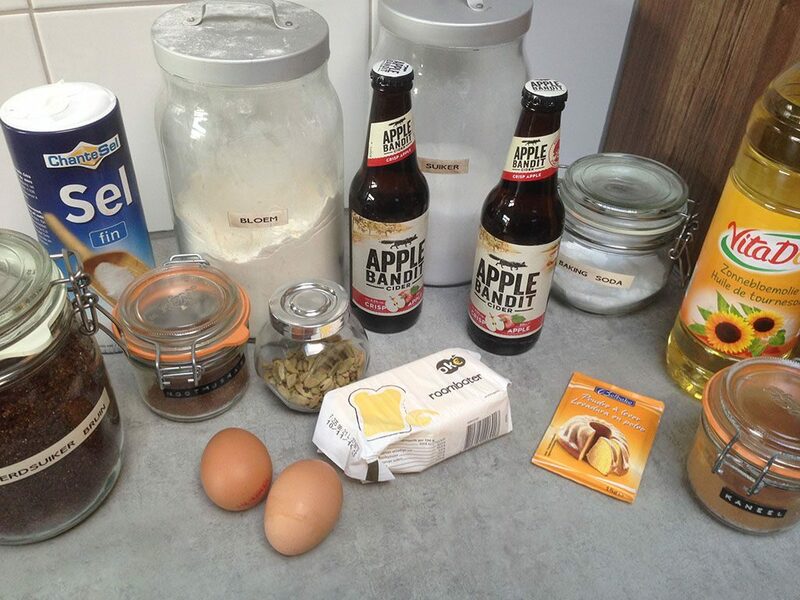 COMBINE the eggs, melted butter and reduced cider in the bowl of your standmixer and mix until smooth. Gradually ADD the dry ingredients and combine well. COVER with cling film and refrigerate for about an hour. Meanwhile create the cinnamon sugar by combining 1 cup sugar with 2 tablespoons ground cinnamon. HEAT the frying oil while you start to roll out the dough and make sure the oil won’t become too hot. DUST your work surface and rolling-pin with flour and roll out the dough. You want it to be quite thick, about 0,5 cm (about 0.20 inches). Use a round cookie cutter to cut out one big round piece of dough with a small hole in the middle. 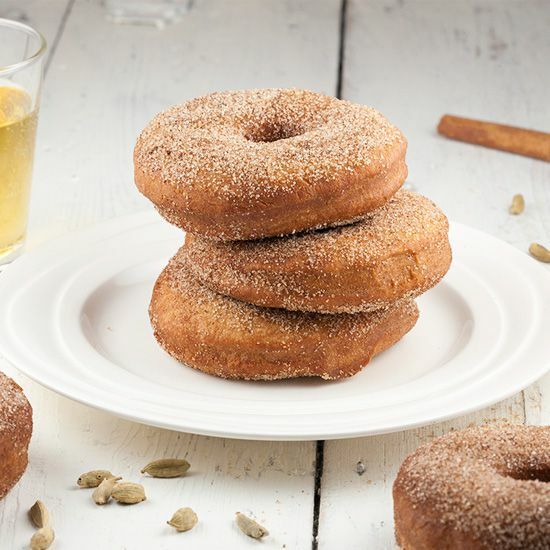 Carefully ADD a few donuts at a time to the hot oil and fry them for about 2 minutes on each side. 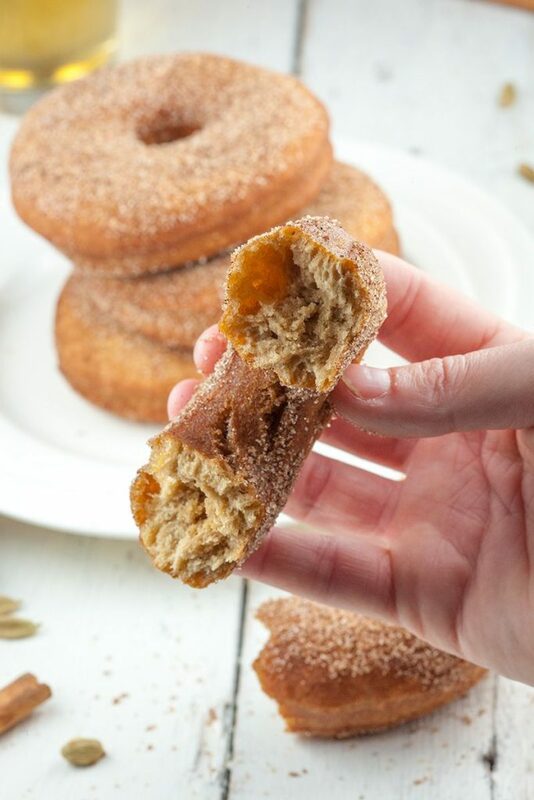 REMOVE the donuts from the oil and transfer them onto a piece of paper kitchen towel and then immediately dip them into the cinnamon sugar. REPEAT until all the dough has been used. Enjoy! Oh yum! 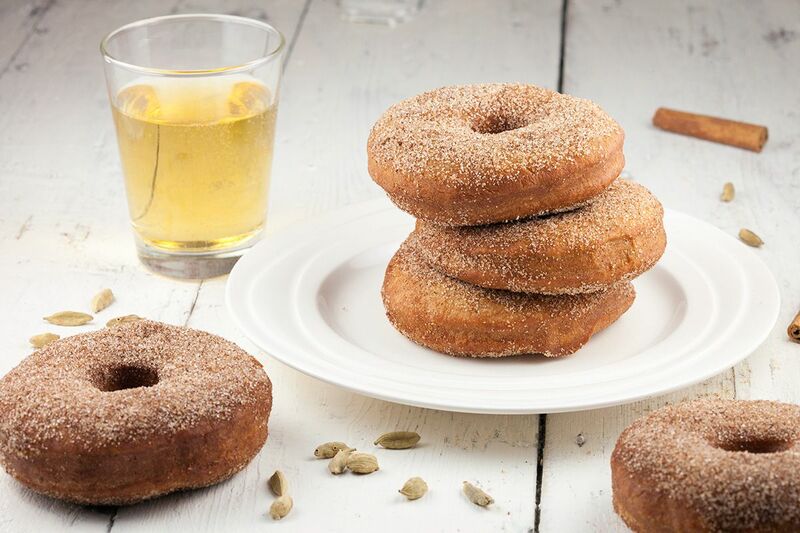 I love donuts and these sound particularly excellent!